The Man from the Eastern parish of St. Thomas dubbed Natty King, launched his debut album in 2005. Kevin Christopher Roberts, aka Natty King is known for hits such as ‘Mister Greedy’ and ‘No Guns To Town’. Believed to be one of the members of conscious music genre, he draws his inspiration from reggae pioneers The Wailers, Burning Spear, and his personal role model Luciano. The artiste admired Luciano, and his soulful lyrics of universal peace and one love, that he at one point called himself Lucie B covering some of Luciano’s best recordings. Natty recorded ‘No Guns To Town’ and ‘Love Me’ on the Two-Miles label, which took off like a rocket sitting at the top of numerous reggae charts nationally and overseas. His follow up single ‘Mr. Greedy’ on Insight Records also went No.1 on the local charts. Incidentally, ‘No Guns To Town’ and ‘Mister Greedy’ videos were also No.1 on the Video Chart in Jamaica. 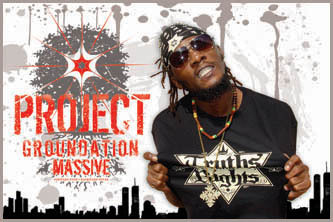 Since his emergence, Natty King has graced the stage of Sting 2003, East Fest 2003 & 2004, Rebel Salute, Western Consciousness and Red Stripe Reggae Sumfest all held in 2004. In all these shows Natty King showed the world that he had indeed arrived. He was voted number one rural artiste for 2003, in Jamaica, he also copped the 2003 award in the Best New Entertainer category at the 23rd International Reggae and Word Music Award (IRAWMA) in Manhattan, New York, as well as the Jamaica 2003 Jamaica Federation Music Award (JFM) for Best New Singer. Right now Natty King has one focus and that’s to be the best that he can be. He will be trying to pen more cultural songs and look out for the youths and the elderly people. He prides himself on being very humble and surrounds himself with people who have the right attitude, as he believes ultimately they can influence you. Natty King & Child linked in 2005 through Lustre Kings when Natty came to California to perfrom at Sierra Nevada World music Festival with Lutan Fyah. It was both of their first performances in the California Festival circuit. 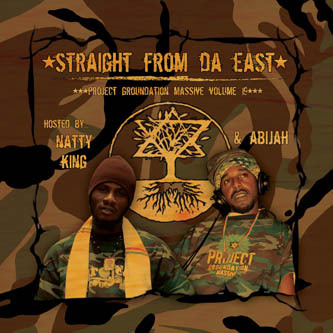 This meeting led to numerous collaborations with PGM including the series “Straight From the East” inspired by Natty’s moniker “…the man from the east.” Natty King is a REAL RASTA who PGM will endorse for life!! !